So the European leg of the season came to a close with the Italian Grand Prix at Monza. 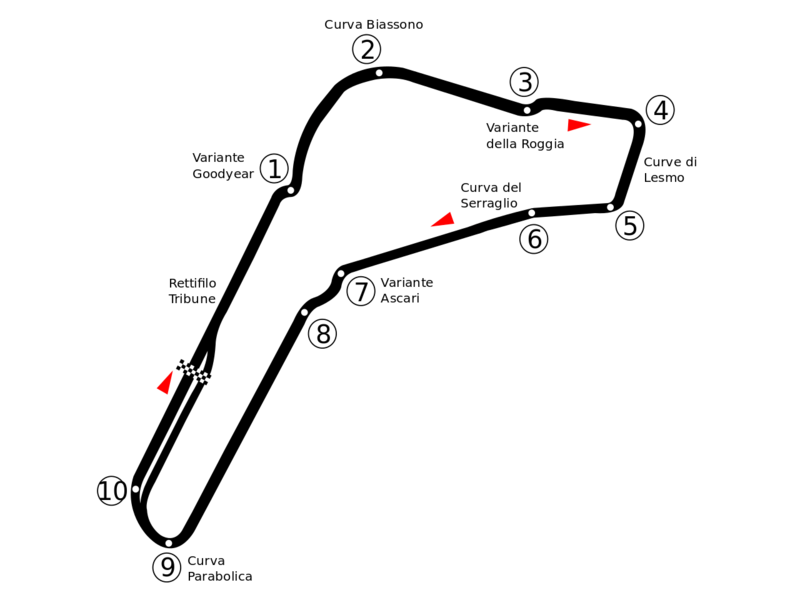 This track has the highest average speed of any track in Formula 1, with only a few chicanes and moderately tight corners to break up fast curves and straights. It has not been a circuit I’ve traditionally enjoyed, but I did win here in the 2009 season, and I was confident of doing so once again here. Yet again I was out-qualified, this time by Button, having assumed I’d secured pole. As the race started I slipped down to third at the first corner then, as I zipped by Button and Webber in the run to turn 7, I hit the brakes too late and slipped down to 4th. That mistake would thankfully not prove too costly, and I was able to fight my way back up and into the lead. I also discovered I made life hard for myself with my pit stop strategy. A 53 lap race, I did 20 laps on hard tyres at the start, pitted again on lap 33, and again on lap 46. In hindsight, I could have pitted again for hard tyres on lap 20, and gone on to lap 40, before closing off with a 13 lap run on soft tyres. I did three stops when I might have gotten away with two, but in the end, I still came out of my third stop narrowly ahead of Button (but I let him get a lot closer than I should have). Another win has seen my lead grow to 27 points. With only four races remaining, I could win the title at the next race in Singapore. I need to take 3 or more points than Button to ensure the title with three races to spare. It may yet happen!